Lovable quotes about happiness! Happy quotes for him and her! Just thinking about you brings a smile to my face. A big, big smile. You made me believe in a better tomorrow. And for that, I’ll always be thankful for you. You, me and a whole lot of happiness. You make me happy. 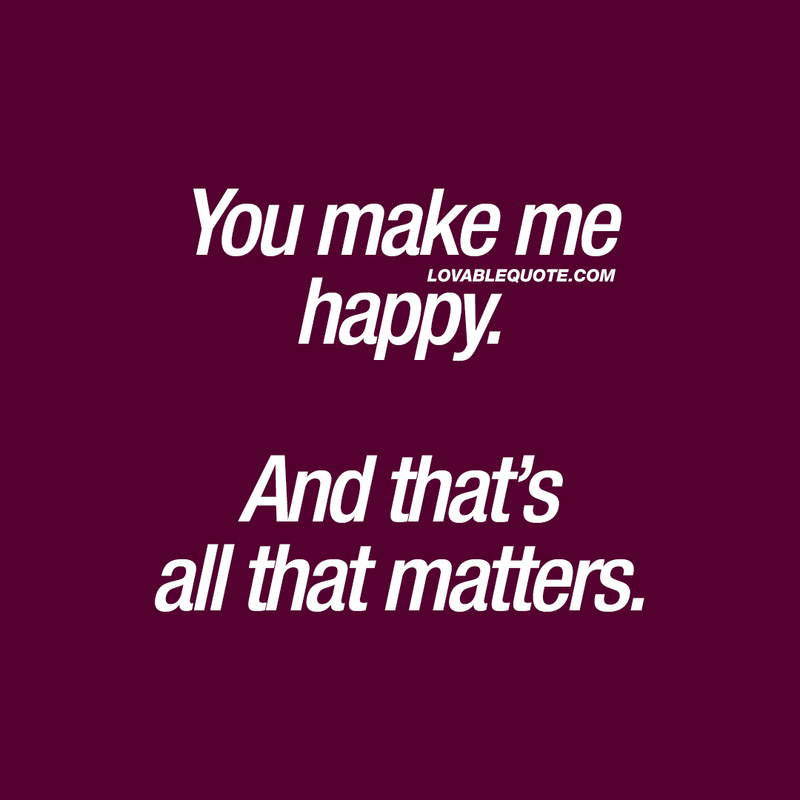 And that’s all that matters. Being happy with you is my favorite thing to do. I’m so happy to wake up beside you every day.